Aotea College will go ahead with a new performing arts centre but needs to find $1million to do it. 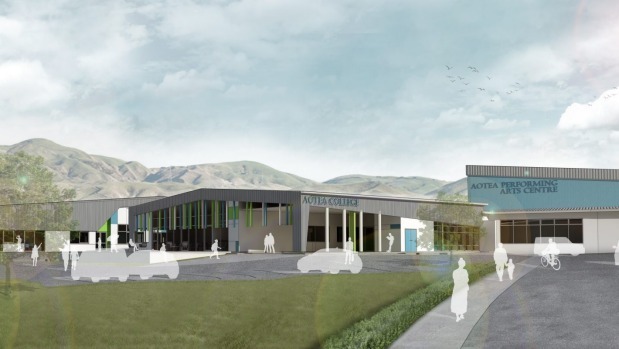 The shortfall is a result of the Porirua City Council’s decision earlier this year not to contribute any funding, reneging on an agreement it made in 2015 to contribute $1m after plans for the $350m 500-seat facility changed. Aotea College board chairwoman Caroline Mareko said it was a pity the board could not partner with the council. A smaller 350-seat option would cost about $2.7 million, but was not being considered by the school board. “The performing arts centre is not just for Aotea College use, it’s for the community. Anything less than 500 seats is too small,” Mareko said. “The surrounding primary schools are getting bigger and bigger and it’s hard for them to find an affordable venue. “A lot of them use Hosanna Porirua Church but have to do three concerts because it’s too small. “Hiring out the Te Rauparaha Arena facility is too expensive and the acoustics aren’t good. The Ministry of Education, which previously approved $24m to fund a rebuild of the decile 5 school, is supporting it to go ahead with building while it finds the other $1m. The additional money needs to be raised before the building is complete – expected to be around September next year. Mayor Mike Tana said the council couldn’t justify funding the performing arts centre as a community facility because it was clearly part of the school. “The original plans had the facility separate to the school. The council has to be very careful what it agrees to spend ratepayers’ money on.